We have had Forest now since October and he is a much home loving cat. 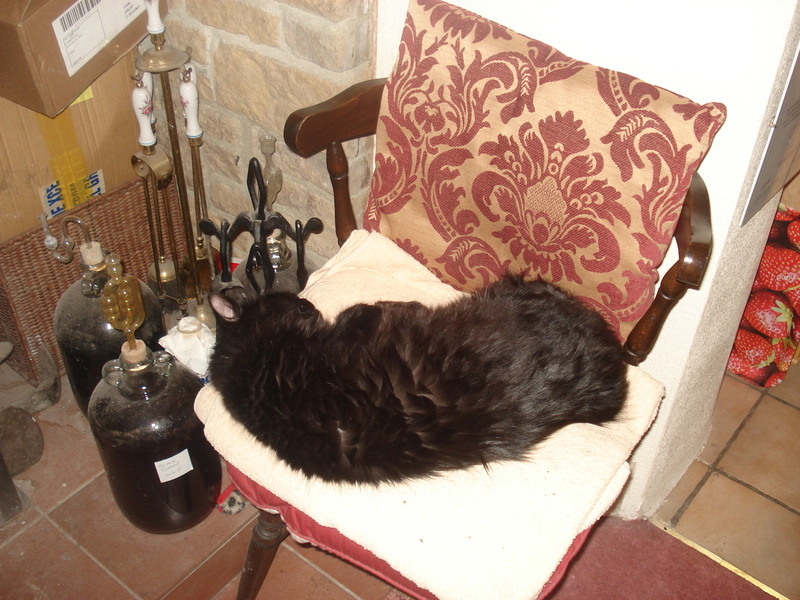 Throughout the Winter his favourite place has been to sleep on the chair next to the fire in the dining room, very contented, very happy. On Monday morning we came downstairs and he was no where to be seen. As the day progressed and he did not appear we got more and more worried. We kept calling him, and went outside looking for him. By the time evening came and he still had not appeared I started ringing the nearest neighbours. Then at 9pm he slunk in and lay on the floor. I got down on the floor to stroke his head and talk to him and thought he looked very subdued. Then I spotted a piece of wire from round his neck. I thought he had got something caught in his collar, but on closer examination found it was a piece of wire tightly wound round his neck. I called out to Neil to get pliers to cut it free, but then I managed to loosen it, as the wire was through a loop. He had been caught in an illegal snare all day and had finally managed to chew his way through the wire. He was so lucky not to have been killed. Sometimes these type of snares can tighten the more the animal struggles and eventually kill them. I think he must have used one of his 9 lives. We put down soft food and he immediately woofed it all up, but we were still concerned about his neck swelling, or damage to his teeth or gums where he had gnawed through the wire. So Neil took him to the vets to get him checked over, but she said he was fine, there was no lasting damaged, so we were very lucky indeed. 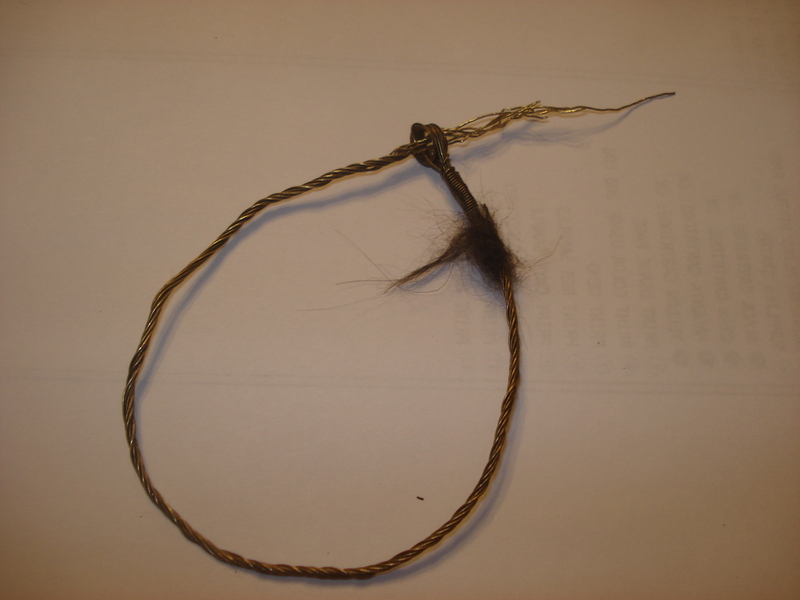 We circulated a note to the neighbourhood watch email round robin, and a letter has been forwarded to our local parish magazine warning of these snares. We can’t prove where it has come from, although we have a suspicion of who might be setting these snares. Neil has gone to the police about it too, as this type of snare is illegal and no one should be putting them down. So Forest was lucky this time, but the next animal might not be so lucky, which is why we are doing everything to stop these snares.